The Goenergy Company Limited (Goenergy) subsidiary of Ghana Oil Company Limited (GOIL) has deflated cartels in the downstream petroleum sector saving the country from artificial fuel shortages. Ghana has not experienced any fuel shortage since Goenergy took control of the Bulk Distribution sector in September 2014 serving major Oil Marketing Companies (OMCs) in the country. Ghana News Agency observation of the trend in the downstream petroleum sector revealed that Goenergy supplied petroleum products to GOIL, Total Petroleum Ghana, Vivo Energy Ghana, Allied Oil Company, Star Oil Company, Engen Ghana Limited, Alinco Oil Company Limited, Petroleum Solutions Limited and Glee Oil Limited. 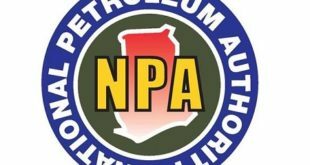 The National Petroleum Authority (NPA) statistics based on the total number of products distributed across the entire industry indicated that within the top seven Bulk Distribution Companies (BDCs) Goenergy controls 22.14 per cent of the market shares in 2016 up from 19.60 per cent in 2015. Chase Petroleum Ghana Limited market shares moved up from 9.30 per cent in 2015 to 10.44 per cent in 2016; and Blue Ocean Investment Limited also moved up from 5.20 per cent in 2015 to 8.18 per cent in 2016. 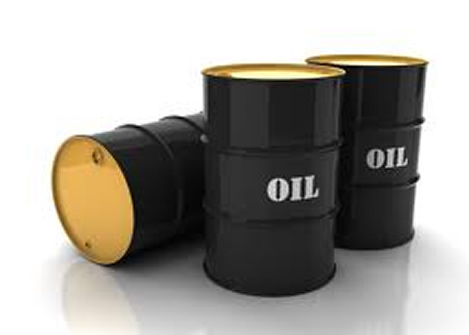 The statistics indicated that Ebony Oil and Gas Limited dropped from 11.10 per cent in 2015 to 10.07 per cent in 2016; and Fueltrade Limited plunged from 12.10 per cent in 2015 to 8.46 per cent in 2016; Cirrus Oil Services Limited slumped marginally from 5.40 per cent in 2015 to 5.23 per cent in 2016; and Vihama Energy Limited also dropped from 7.60 per cent in 2015 to 6.25 per cent in 2016. The NPA statistics further revealed that the seven top BDCs control 69.4 per cent of the market whilst the remaining 32 BDCs control 30.6 per cent. Commenting on the progressive development of Goenergy, Mr Gymafi Amanquah, Chief Operating Officer of Goenergy told the GNA that the company’s objective is to continue to maintain dominance and increase its market share in order to save Ghanaians from unnecessary and artificial fuel shortages which was the order of the day in the past. He explained that Goenergy was born to offer solutions; recounting that in the beginning of the third quarter of 2013, the nation witnessed series of fuel supply shortages which persisted till the first quarter of 2014. Mr Amanquah explained that most BDCs at the time resorted to selling on cash basis, “almost all the BDCs withdrew credit and demanded cash payment for products from OMCs including GOIL. “However the BDCs who were willing to trade with GOIL on credit, could not guarantee uninterrupted supplies. This new model of cash transactions for products put a heavy toll on GOIL’s finances”. He said in order for GOIL business to survive and to ensure regular supply of fuel products to the public, there was the need to secure a continuous supply of petroleum products to feed GOIL’s numerous retail service outlets and meet existing contractual agreement with her consumer businesses. 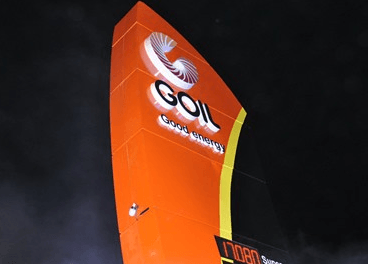 The Board of Directors and Management of GOIL took a pragmatic action by setting up Goenergy Company Limited in February 2014 as Bulk Distribution Company and a wholly-owned subsidiary of GOIL. Mr Amentor Aziakor, Goenergy Operations and Marketing Manager noted that the company’s business operations had grown substantially and currently it is the major supplier of Gasoline, Gasoil, Marine Gasoil and LPG to GOIL and other OMCs and BDCs in the country. GOIL was incorporated as a private limited liability company on June 14, 1960 as AGIP Ghana Company Limited with the objective of marketing petroleum products and related products particularly fuels, liquefied petroleum gas (LPG), lubricants, bitumen, and Specialty products in Ghana. The Government of Ghana in 1974 acquired the shares of AGIP SPA and Hydrocarbons International Holdings in AGIP Ghana Company Limited and by a special resolution in 1976 changed the name of the company to Ghana Oil Company Limited. By a shareholders resolution passed on 1st August, 2007 the Company adopted new regulations and was converted into a public company. Between the year 2010 and 2012 the Company underwent a transformation process aimed at changing its logo, station outlook, and most importantly the corporate culture which was dubbed “Good Energy comes with a Smile”. The launching of the New GOIL took place on the 18th May 2012. Though the Company’s main business is marketing and distribution of petroleum products in Ghana, one of the tenets of the New GOIL is to move beyond the current frontiers to marketing and distribution of energy products in general. GOIL therefore, welcomes partners who are interested in helping us drive our business in this direction.